Yes, if you've just gotten to the site, you might have noticed a few changes. Aside from a slight layout update (one that probably won't stand out much to most), we have also updated our main page to use a new gadget-based system. In the past, like many other Pokemon sites, our main page mostly contained news - both Pokémon news and site updates. That's not, however, what the site does best, and doesn't focus on other parts we feel people will want to learn about when they visit us. So we changed it. From now on, the main page will contain a number of gadgets containing basic information. Furthermore, as long as you have an account here, you can customize the gadgets - which ones show up, in which order, and to an extent, the information they will show in there. 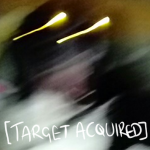 From now on, you're in control. Well, as much as we are willing to allow you, but it's more than what you get in most places! We're adding further gadgets in the future (having only a few right now... sorry) and allow for a few more customization option. If you have any ideas, let us know... and if you want to try your own hand at some PHP coding, get in touch for the basic API and relevant technical details. Oooh, nice work here. I like it more like this; plus there's a new link to the news section now anyways I've noticed. Good job guys! All Joeno so far. Send all your thanks his way. Which version of IE do you use? I will report that IE9 can view it in all it's glory. 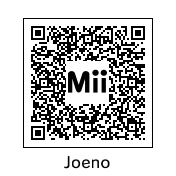 Absolutely fantastic work Joeno (plus love your Mii). Just look for the 'About Internet Explorer' menu item in you rmenu bar. Nice design. I do like the changes. Seem to be experiencing some problems with News blocks duplicating themselves, though. It seems to keep changing - is it still being worked on? Seems like there were some issues testing did not uncover... they should be working better now. "PKMN.NET is down as we perform some security sixes"
Blame it on other admins, when asked to take a look & test, only going 'oooh' for five seconds. Don't have time to fix the text. I guess we might be back in an hour or so. That should be everything now actually working by now. Quite possibly not, we'll see how it goes, but it's been tested in more straining conditions now for sure. Like having more than one person use it.